Volcanic eruptions in Indonesia in recent days have forced the closure of two airports and disrupted some flights to Bali, officials said on Wednesday. Mount Gamala on the eastern island of Ternate erupted early Wednesday after a moderate earthquake in the area, sending ash up to 600m into the air and closing the island’s airport. 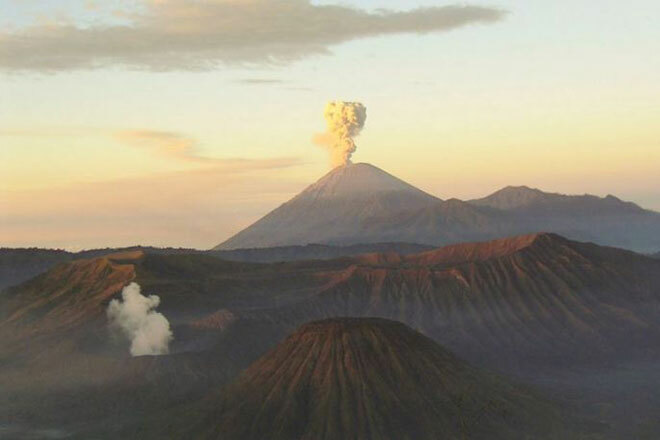 The airport on Lombok was closed overnight from Monday to Tuesday due to a drifting ash cloud from erupting Mount Rinjani, causing the cancellation of 29 domestic and international flights to the resort island. The airport on neighbouring Bali remained open but several flights between Lombok and Bali were cancelled while a handful of services between Australia and Bali were also axed. Mount Sinabung, a volcano on the western island of Sumatra which has been rumbling for some time, also erupted violently on Tuesday although its ash clouds did not disrupt any flights. Full story on Coconuts Jakarta.